Professional iPhone Repair in the Ann Arbor Region. Call to schedule an appointment today! We mostly focus on screen + LCD repairs. The price depends on the device, damage, and level of quality you're looking for. Call or text us for more information. We can travel to you or you can come to us. Please call or text us first to schedule your appointment. Thank you for visiting our website. 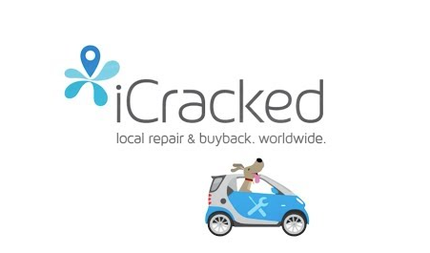 This is actually an affiliate company of iCracked - a mobile repair company that has a network of 4000+ technicians worldwide. We offer the best repair service in the Ann Arbor area & the best part is the warranty travels w/ you all over the world. This particular franchise is in Ann Arbor, Michigan. We operate through appointments. Customers can schedule a repair with an on-demand technicians who come to you and repair your device in front of you OR you can simply drop off your device for a 30-minute repair. A majority of our repairs are done in public locations in Ann Arbor and on the University of Michigan campus. Most common repairs include replacing cracked screens on iPhones. You can ﻿schedule an appointment﻿ by filling out an online form or calling the number above. Your local iCracked technician will meet you for the appointment and will fix your front screen in no time! Our unique business model allows for us to operate without a storefront. All repairs come with a warranty and 100% customer satisfaction. We're like UBER for your iPhone. We fix everything from cracked screens to water damage. The most common repairs are cracked glass screen replacements for the iPhone 5, 5c, 5s and now the iPhone 6. However, we repair any problem with any Apple iOS device. Recently our shop has received more requests to fix the iPhone 6 and iPhone 6+. We have two technicians working and traveling at all times. If you need on-demand service then simply call our number or submit a request online. Having a mobile service allows for convenience and customer satisfaction. Other repairs also include LCD's, home buttons, power buttons, water damage, batteries and more. Please LIKE US on Facebook, Write a Review on Yelp, Visit our Google+ Page, or even check out our HQ iCracked Twitter Page. If you have any questions or concerns then please just give us a call. We would be happy to explain our repair services and give you a quote on fixing your smartphone or iOS device. The location is under new ownership & management by Kat King. Please contact her at the number and email from the site.